Physicist Stephen Hawking’s ability to continue working despite his diminished physical state due to Lou Gherig’s disease is almost as famous as his pioneering theories of space and time. 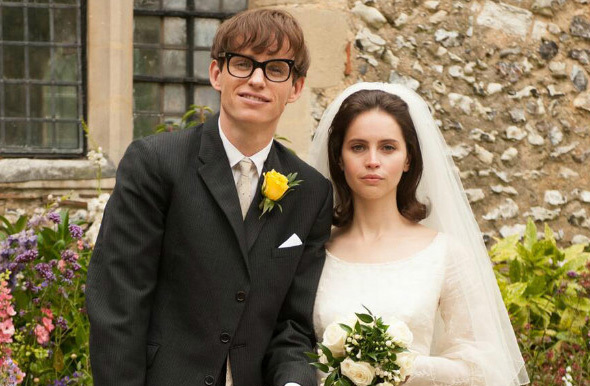 In the mawkish biopic “The Theory of Everything,” that tragic development overshadows his real achievements in a formulaic tearjerker that nevertheless delivers on its narrow focus. Featuring Eddie Redmayne in an impressive performance that finds the actor credibly transforming into the wheelchair-bound figure known to the masses, the movie focuses on Hawking’s struggle to remain active with the tender support of his loving wife Jane (Felicity Jones). The travails of their relationship absolutely resonate. However, unlike Errol Morris’ 1991 documentary “A Brief History of Time,” which blends the narrative of Hawking’s life with his groundbreaking ideas on cosmology, James Marsh’s elegant period drama relegates the theories to the sidelines for a more traditional look at perseverance. It doesn’t take long for Hawking and his lover to meet cute on campus, and when he’s diagnosed with two years to live, Jane’s willingness to stand by his side plays out in standard melodramatic fashion, but Jones gives the character a subtle edge. The actress has previously displayed an ability to appear both fragile and powerfully committed in “The Invisible Woman” and “Like Crazy,” but her role as Jane marks the pinnacle of her abilities for the subtle means she conveys her affection for Hawking even as the couple face insurmountable events that challenge their future. In the meantime, “The Theory of Everything” tracks the growth of the Hawking family, the physicist’s plight as he learns to communicate in new ways, and the support they receive from longtime friend Jonathan Hellyer Jones (Charlie Cox), whose burgeoning attraction to Jane threatens to complicate the scenario. But the movie still works best when it hints at Hawking’s mathematical instincts and its tensions with his wife’s spiritual convictions. “What one believes is irrelevant to physics,” he says, but the exact meaning of that declaration never receives the clarity it deserves. Nevertheless, Marsh succeeds at evoking Hawking’s frustrations with a keen cinematic approach, at one point outlining his envy of his healthier colleagues by dropping the audio and showing Hawking’s perspective of the more physically capable people around him. Redmayne, who manages to look incredibly similar to the real-life subject, eventually must convey a depth of emotion with the subtle movements of raised eyebrows and a focused gaze. It’s an impressive turn, particularly as Jane strives to help the man learn to translate his thoughts into words while they both start to question the nature of their bond. The story builds to a celebratory finale that anyone remotely familiar with Hawking’s perseverance would expect, but only truly acknowledges the cosmic nature of his ideas in the closing credits. No matter how much “The Theory of Everything” showcases the incredible process through which Hawking maintains a connection to the rest of the world, it falls short of burrowing inside his head. 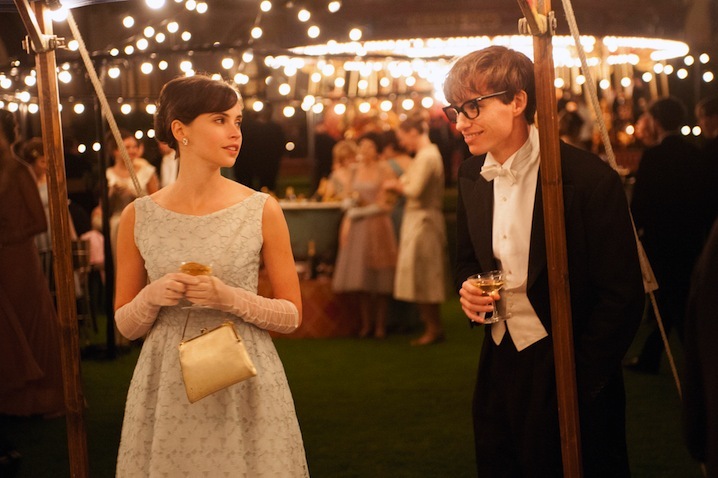 “The Theory of Everything” premiered this week at the Toronto International Film Festival. Focus Features will release it in November.